Oregon State University strives to create a supportive environment so students can be successful inside and outside the classroom. The Louis Stokes Alliance for Minority Participation (LSAMP) program at Oregon State University is dedicated to increasing the number of traditionally underrepresented students completing a degree bachelor degree is the areas of science, technology, engineering, and mathematics (STEM). STEM Leaders is designed to increase the diversity and success of undergraduates in science, technology, engineering, and mathematic (STEM) fields at OSU. Students participating in STEM Leaders have access to cohort-based workshops and peer mentoring with upper division STEM students. Oregon State University is committed to supports students from all backgrounds and immigration statuses. DACA and undocumented students should connect with the Office of Admissions to ensure their application gets completed and processed correctly. Tuition Equity (TUEQ), also known as HB2787, is an Oregon house bill that provides certain students an exemption from nonresident tuition and fees at Oregon public universities. This program is available to undocumented/DACA students to be considered for in-state tuition. Si tienen preguntas sobre programas de apoyo para estudiantes latinos, admisiones, ayuda financiera, becas, y ayuda para estudiantes indocumentados por favor de visitar esta página en español. Podrán encontrar información de varios recursos y personas de contacto. The TRiO Student Support Services Program at OSU works to increase the college retention and graduation rates of its students. TRiO provides academic counseling, peer mentoring, tutoring services, cultural enrichment activities, grant aid, workshops and more for participants. 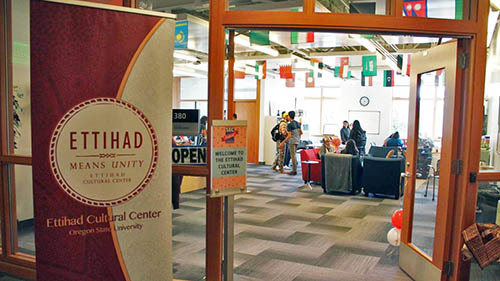 The College Assistance Migrant Program (CAMP) is a federally funded program designed to support students from migrant and seasonal farm worker backgrounds during their first year in college. 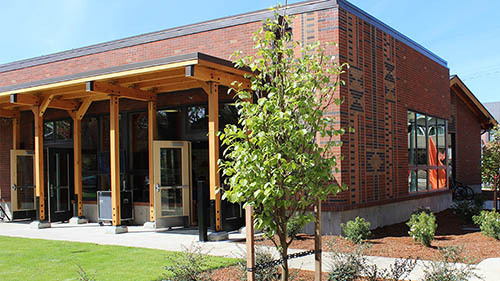 The Cultural Resource Centers (CRCs) are designated campus spaces to help students, staff, and visitors build an inclusive community at Oregon State University. The Asian and Pacific Cultural Center (APCC) is a space on-campus that provides opportunities for engagement around the intersectional experiences of Asian and Pacific Islanders, the pursuit towards academic excellence, and the emergence of professional passions. 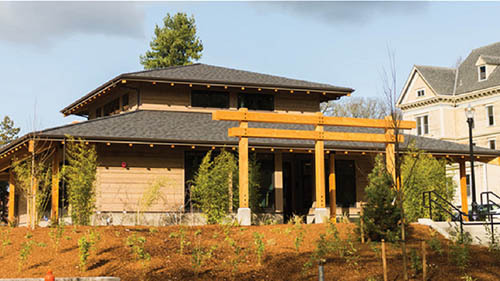 The Native American Longhouse (NAL) Eena Haws fosters a sense of home and community for the Indigenous people of the Americas and Pacific Islands while working to provide educational opportunities about Indigenous cultural and history for students and visitors. 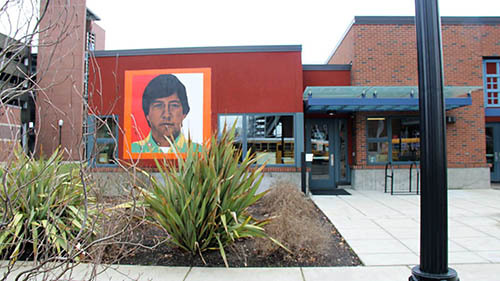 Established in 1975, the Lonnie B. Harris Black Cultural Center (BCC) provides academic, cultural and social programs/activities related but not limited to African Americans and people of African cultures and heritages. 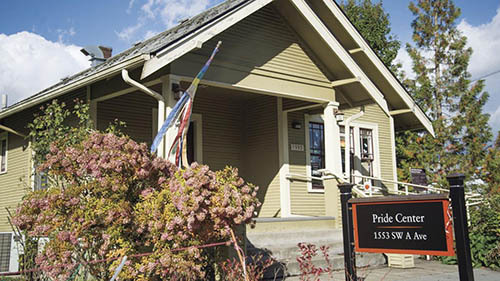 The Pride Center affirms the identities and empowers the lives of people who are LGBTQQIAA by providing education, outreach, program support, consultation, community development, visibility, and advocacy. Ettihad means 'Unity' As a cultural resource center, it is a forum to unite on-campus and online students from various backgrounds in order to bond over things that bring us together. The Ettihad Cultural Center (ECC) is home to a large population coming from central, southern and western Asia as well as northern Africa. The mission of the Office of Institutional Diversity is to design, plan, lead, and implement, in collaboration with university partners, institutional change actions, initiatives, and communications to advance diversity, equity, and inclusion throughout all facets of Oregon State University. Oregon State University staff is available to answer questions from students, families, and counselors. Find contact information below for a variety of offices around campus. The Office of Admissions works with prospective high school and transfer students as they apply to the university. 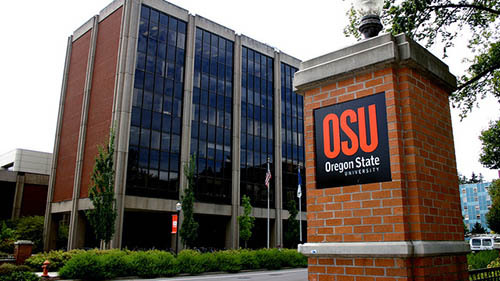 Connect with this office for questions about admissions requirements, the OSU application, recruitment programs, high school visits, college fairs, and general questions about Oregon State University. The Office of Financial Aid and the Scholarship Office work with prospective and current students to discover options for funding their education at Oregon State University. From federal and state aid to institutional options, there are a variety of opportunities available to assist students with the cost of their education. Free Application for Federal Student Aid (FAFSA) opens October 1st. See what scholarship dollars you may be eligible for at our Scholarship Calculator. University Housing and Dining (UHDS) oversees campus residence halls and dining facilities. With 16 residence halls students have the opportunity to find their home away from home while they are staying on campus. For information regarding room styles, meal plans, housing applications, and room and board rates, please contact University Housing and Dining Services. Do you have nutritional needs? Learn more here. 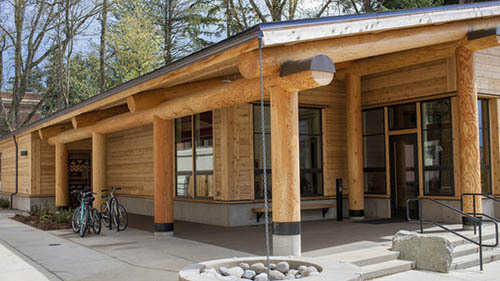 The Welcome Center provides prospective students with the opportunity to visit campus and see what life is like as a Beaver. Students and families visiting campus have the opportunity to take a campus tour, see a residence hall, meet current students, learn about the admissions process, and explore academic options. From personalized visits to open house programs, students can tailor their time on campus to meet their needs and schedule. ¡Recorridos de la universidad e información de admisiones están disponible en español! Regístrate para visitar nuestro campus y conocer nuestros consejeros y estudiantes bilingües. ¿Tienen preguntas? Se pueden comunicar con Angelic a 541-737-8863. The Office of Precollege Programs (PCP) supports and oversees a wide range of programs designed to increase the success of Oregon’s youth. Programs ranging from afterschool clubs, to summer camps, to K-12 teacher professional development, focus on providing students from diverse backgrounds pathways to higher education. 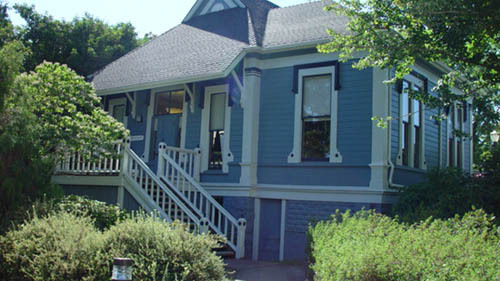 This office offers campus fields trips for elementary, middle and high school groups, as well as, programs in Oregon communities including SMILE, Mobile STEM Camps, and Beaver Hangouts. Previously named "Dual Enrollment", this program allows students to be jointly admitted and enrolled at Oregon State University and any eligible community college partner school. The Degree Partnership Program (DPP) provides students with an afforadble way to complete their degree while still having access to OSU academic advisors and services even while taking classes at a community college. Contact the Degree Partnership Program for more information about how class scheduling works while being dual enrolled, the application process, cost savings, and partner schools.